PRISM bridges together leading experts from across the academic and political spectrum from different regions of Europe including; UK, France,Austia, Belgium, Spain, Portugal and the Czech Republic, to dissect and analyse the varied, multifaceted and evolving meanings of radicalisation that circulate in the academic, political and social spheres and define what sets a radical apart on the basis of EU law. PRISM seeks to understand the relationship between radicalisation, extremism and terrorism, and also the relationship between non-violent radicals, violent radicals, nonviolent extremists and violent extremists. PRISM will seek to understand the causes, processes and consequences of radicalisation. It shall look not only at the micro-level (real or perceived alienation, relative deprivation) and macro-level (government policies, societal attitudes), but also the meso-level – the wider radical milieu which, enables processes of radicalisation to take root. PRISM will study radicalisation not just among male agents, but also specifically at female counterparts; not just Islamic extremists, but also extremists of other religions; not just within a religious context, but also a political context; not just among politically right-wing individuals/groups, but also their politically left-wing counterparts; and not just within diasporic groups that have been in Europe for generations, but also recent refugees. PRISM will work with our technological partners to tie in our research with cutting-edge risk-mapping and risk-detention systems that weave together big data, micro-targeting and psychosocial mapping to steer counter-terrorism strategies away from racial profiling, while making action more proactive, swift, responsive, and culturally sensitive. It will further examine past and present de-radicalisation, re-socialisation, countermessaging and alternative messaging strategies and put forward recommendations for new or improved programmes based on the experiences of these programmes as well as findings of this project. Human Security Centre and ARCHumankind are coordinating this very timely project. Human Security Centre (HSC) is an international, independent, not-for-profit foreign policy think-tank based in London. 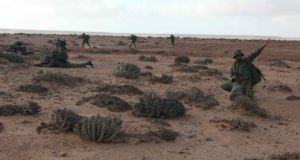 The purpose of HSC is to address, and to formulate solutions to, current and emerging threats to human security. The HSC aims to promote and help create an international society in which individuals and communities everywhere are able to live free from fear, free from want and free from indignity. To achieve this, the HSC promotes the concept of human security as a tool to facilitate better understanding of the complexity and interrelatedness of threats and as a central pillar of foreign policy in the twenty-first century. Building on the human security discourse, it advances people-centred, multi-sectorial, comprehensive, context-specific and prevention-oriented solutions, working across many sectors to integrate the agendas of peace and security, development and human rights. ARCHumankind is a non-profit organisation, aiming to bring together people from the most diverse geographical, professional, and cultural backgrounds to contribute to stimulating sustainable cooperation for the promotion of democracy and a respect for human rights, while putting an end to religiously, politically or ethnically motivated oppression and violence. 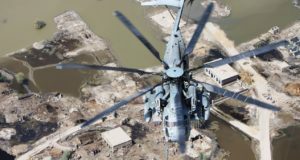 ARCHumankind carries substantiated analysis on past and present counter-terrorism frameworks and national prevention programmes outside the EU, and it analyses case studies on radicalisation from the Middle East and South America. 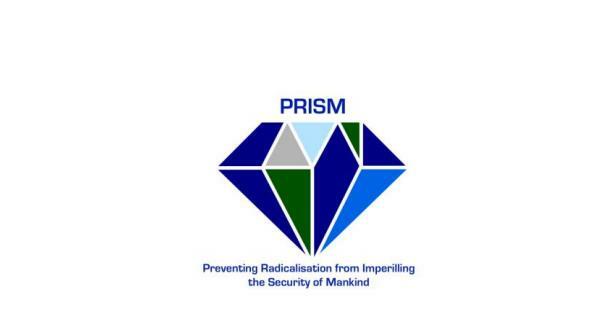 Within PRISM, ARCHumankind elaborate policy recommendations in relation to de-radicalisation. The academic experts in our consortium include; Alexander Meleagrou-Hitchens, head of the counter-radicalisation department at Kings College London, Professor Mario Aguilar, Head of religion and politics from St.Andrews University, Professor Reinholdt Gartner from Innsbruck University, Professor Caroline Guibet Lafaye from CNRS University, Dr. Joshua Skoczylis from Lincoln University, Professor Luis Peral from the Institute of International Relations in Madrid. Non-academic institutional partners include; Quilliam Foundation, Institut de Relations Strategiques (IRIS), European Values, South Asia Democratic Forum and EUpportunity.